Your Tools. Your Staff. Your Shop. Our Expertise. 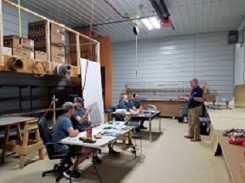 ISFA On-Demand is a customized Solid Surface training program for our members designed to meet the needs of your business. 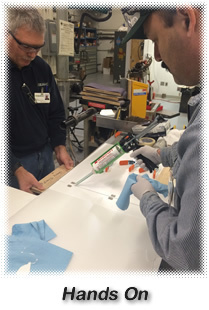 Basic fabrication instruction includes Product Orientation, Safety, Tooling, Fabrication & Installation. 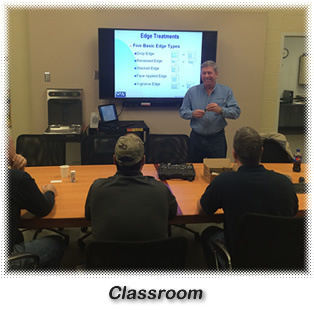 More advanced instruction includes Manufacturer’s Fabrication/Installation Requirements. Contact Carol at [email protected] to Register! Allows your staff to train in your shop using your own tools. Instructor can assist with starting a new job. The trainees/students can remain in the shop and not lose travel days. Far more economical to pay trainer travel than your staff’s travel expenses. Trainer can assess additional on site needs and make recommendations. 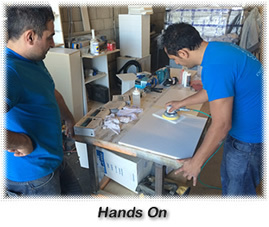 Includes the above plus students complete a kitchen countertop project in teams. And may include shop layout and efficiency audits, on-site consultation, specialty production and installation training. Standard woodworking tools plus solid surface specialty tooling. Trainer will provide list. 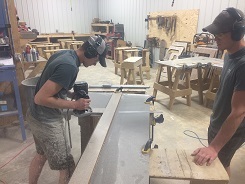 Shop needs to be a solid surface or woodworking shop of 800 sq/feet minimum. Needs to have an area for classroom type instruction. Initial phone consultation by trainer. 1 month leadtime to schedule. 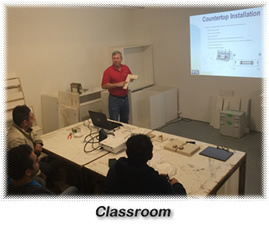 Participants will receive a certificate to recognize that they have completed a professional Solid Surface Fabrication training course. Participants will receive window clings for work vehicles and t shirts to identify them as members of the International Surface Fabricators Association. Participants will receive a follow-up survey from the trainer to provide feedback.